The proposed power line route from SHE Transmission will cross the River Fiddich, pictured, as well as the Isla and Deveron. An environmental group has warned the breeding grounds of Speyside fish could be damaged by construction work for power lines. Marine Scotland has raised fears that work for the proposed Scottish Hydro Electric (SHE) Transmission cables in Moray could affect water quality and hit stocks. The government body has encouraged construction to be scheduled to avoid the salmon spawning period from October to June to protect the fish. Last night the recommendations were described as “common sense” from Colin Mackenzie, who is leading a campaign against the development. He said: “If the ground is disturbed around the tributary then that can have a knock-on impact on the river it runs into, whether there is too much or too little water or the quality of it. The proposed power line from SHE Transmission will cross the River Fiddich, which runs into the Spey, as well as the Isla and the Deveron. The route of the overhead cables stretches for 14 miles on 78ft electricity poles from the Dorenell Wind Farm to the Blackhillock substation near Keith. In her consultation response, Emily Bridcut from Marine Scotland recommended extra care should be taken near the banks of the water to protect the breeding grounds of the fish. 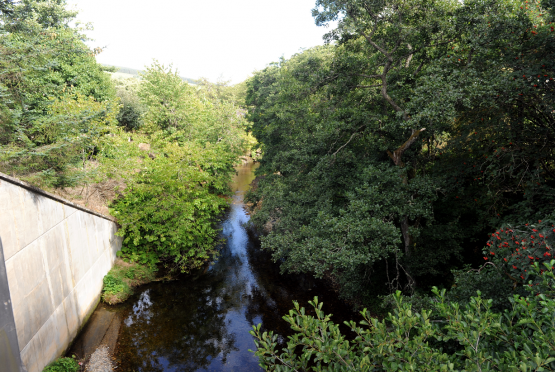 She also recommended a wider than normal “buffer zone” between construction and the rivers due to the conservation status of the Spey to minimise the impact on fish. Other consultation responses from the RSPB, RAF and Transport Scotland raised no objections about the project.